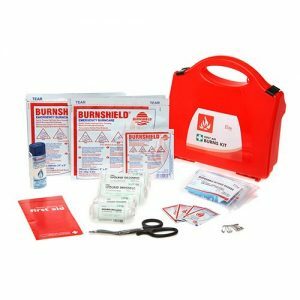 Burns first aid kits are supplied with a selection of products for fast and effective treatment of burns such as burn dressing and gel sachets, heavy duty clothing shears and a range of bandages. 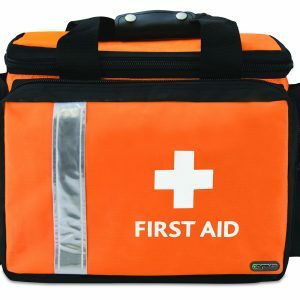 After eye or skin contact with acid or alkalis, it only takes seconds before the pH value is significantly altered. 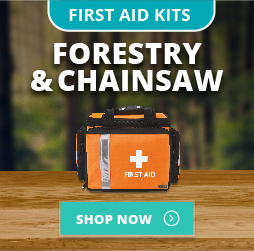 On contact, you should neutralise acid and alkalis to a pH value equal to a normal level for the eye or skin. 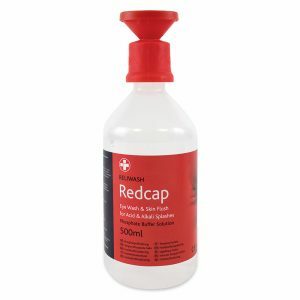 Redcap™ Phosphate Buffer Solution has a neutralising effect, returns skin to the normal pH level and reduces damage caused by the splash. 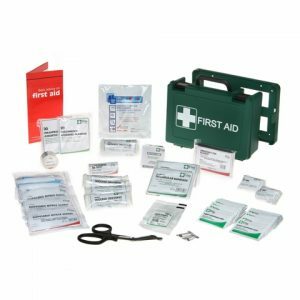 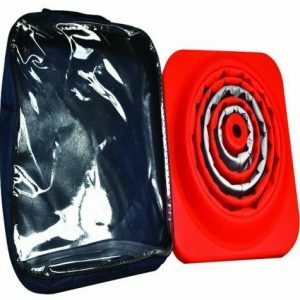 The first aid box is made from tough, durable plastic, with a carry handle and strong clips to keep the content secure. 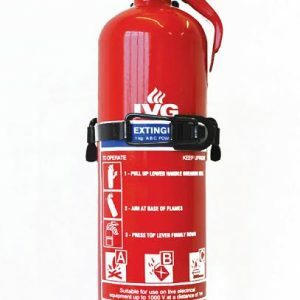 Our 1.0kg and 2.0kg travel powder fire extinguishers are supplied complete with a heavy duty travel bracket, securing the cylinder of the extinguisher safely in place during transportation. 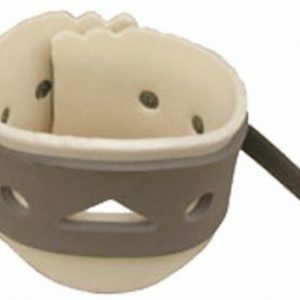 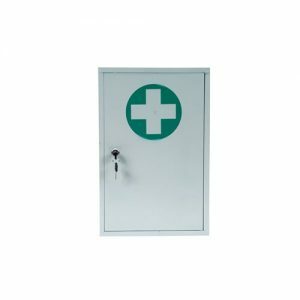 You need quality first aid products that ensure you meet Health and Safety (First Aid) regulations. 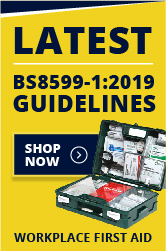 Our kits are compliant with BS8599-1 for the workplace and BS8599-2 for vehicles meeting all HSE guidelines. 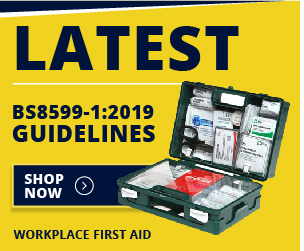 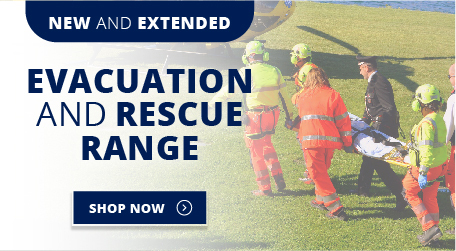 With over 25 years experience we operate under the ISO:9001 Quality Accreditation and all our first aid products carry relevant CE certification. 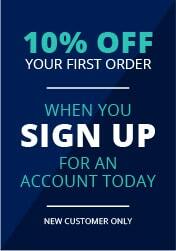 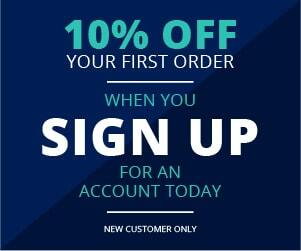 Contact our team today for any questions.